My daughter’s first visit to Manila Zoo. I’m not sure if the elephant behind us is the same beleaguered elephant named Mali. You can read more of Mali here. 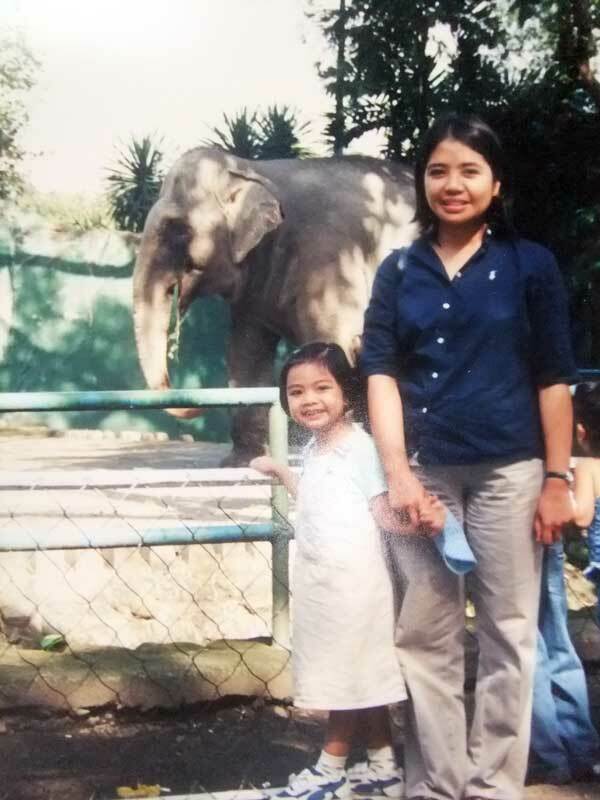 This entry was posted in Family, Outdoor Activity, Outdoor Wednesday, Wordless Wednesday and tagged Mali, Mali the elephant, Manila Zoo, Manila zoo visit, only elephant in Manila zoo, zoo visit on August 17, 2011 by Yami. Traveling long distance is not my husband’s cup of tea. Good thing he was able to find himself an inexpensive means of entertainment while traveling to and from work. He got a cellphone with tv feature. Now he can watch his favorite program through his cellphone. He can also catch up on late night news. The tv frame may be small but the reception is clear he just have to pull the long cellphone antenna that looks like smaller tv antennas. Mobile phone with tv feature is useful when traveling long distance. However, make sure you’re not the one driving when you watch from your cellphone. This entry was posted in Job related and tagged relax, travel, tv on August 16, 2011 by Yami. Anyone who invented the phrase “travel light” might have been a seasoned traveler himself and probably have experienced the hassles of travelling with a huge backpack and several hand carries on either hands on one or two occasions that he has made it his new mantra to not carry his entire wardrobe or bedroom the next time he boards the plane for yet another travel adventure. Be creative and adventurous, instead of buying your mom native delicacies as souvenir why not hit the local flower shop and ask for their custom flower delivery service. Your mom would surely appreciate the thought and would melt at the sight of the lovely flowers. This entry was posted in Souvenir ideas, Travel tips and tagged luggage, souvenir, souvenir ideas, travel light, travel plans, travel tips on August 8, 2011 by Yami.